Emojis aren’t just a cute way of expressing yourself – they’ve been proven to play a pivotal role in human communication as our blog post explores. They’re very simple to add to your text messages, too. Firstly, login to Echo, and navigate to Send > Simple. The easiest way to add emojis to your message is to go to https://emojipedia.org/ and search for the emoji you’d like to use. The website provides a button to copy your preferred emoji; place your cursor into the Message field in Echo, and press Ctrl + V to paste the emoji. 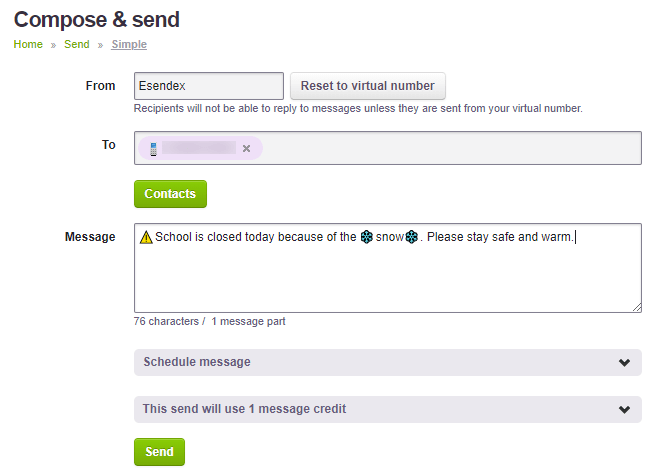 Before you click send, you must click on the drop-down arrow next to ‘This send will use 1 message credit’. 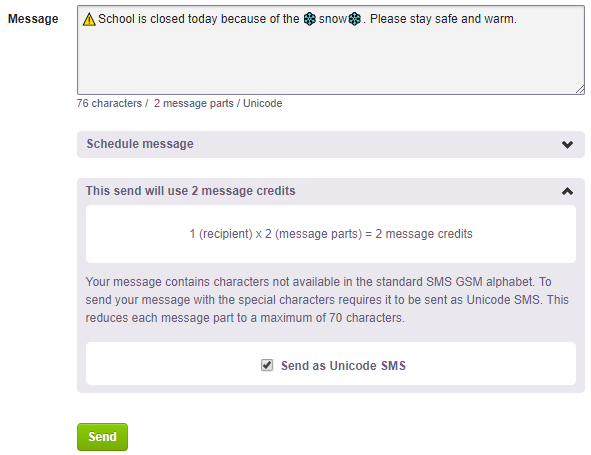 The expanded section offers you the option to ‘Send as Unicode SMS’. Tick this box to ensure that your emojis are delivered to the handset. If you miss this step, the emojis will be missing from your message, and will leave a gap where they should be. You will probably also notice that sending as Unicode increases the number of message parts. This is because unicode characters count as more than one character. You may wish to re-word your message to keep the character count under 160. Here’s more information on character counts.